SAN FRANCISCO—Statewide court filings in the California superior courts decreased in fiscal year 2011–2012 but remain unchanged over a 10-year period, according to the Judicial Council’s 2013 Court Statistics Report (CSR). The 8.5 million case filings represent a 9.8 percent decrease from the previous year. Most of the decline occurred in limited jurisdiction cases—misdemeanors and infractions in the criminal case category and small claims and limited civil (less than $25,000) in the civil case category. At the same time, felony filings have increased slightly, and filings in mental health cases increased by 11 percent, which represents a growing caseload for those case types over the last 10 years. The CSR provides detailed statewide caseload data for fiscal year 2011–2012 and 10-year trend data on a wide range of court business in the Supreme Court of California, the Courts of Appeal, and the superior courts in the state’s 58 counties. Comprehensive county-level data for the most recent fiscal year are published in the online version of the report, along with a summary of the major filings trends, on the California Courts website. A snapshot of the court caseload data in the CSR for fiscal year 2011–2012 follows. The Supreme Court issued 87 written opinions in fiscal year 2011–2012. Filings totaled 9,237, and dispositions totaled 9,739. Automatic appeals arising out of judgments of death totaled 18 cases, and the court disposed of 29 such appeals by written opinion. The Supreme Court ordered 1 Court of Appeal opinion depublished in this fiscal year. Total contested matters for the Courts of Appeal totaled 21,894, made up of 13,498 records of appeal and 8,396 original proceedings. Dispositions in the Courts of Appeal totaled 24,215. Of these dispositions, 15,531 were notices of appeals, and 8,684 were original proceedings. Dispositions of appeals by written opinion totaled 10,097, appeals disposed of without written opinion totaled 3,485, and appeals disposed of without a record filed totaled 1,949. Dispositions of original proceedings by written opinion totaled 572, and original proceedings disposed of without written opinion totaled 8,112. * Since 1996, the California Supreme Court has issued additional workload statistics using a reporting period of September 1 through August 31 of the following year. This time frame best corresponds to the filing of the Supreme Court’s opinions. 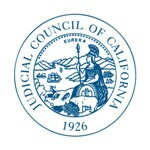 View the court’s September 1, 2011–August 31, 2012 annual statistics.